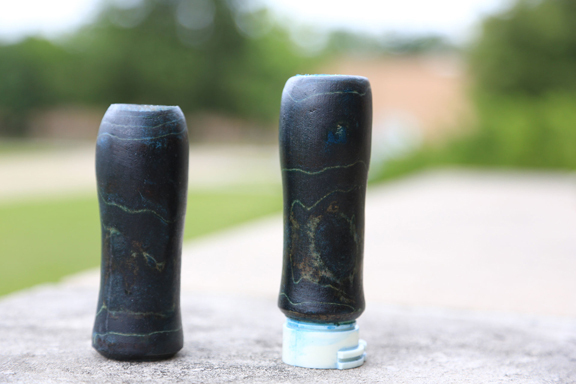 These Grips have a wood like appearance, but are actually layered Leather epoxied leather. They have a very natural feel and add a very custom look to your bike. 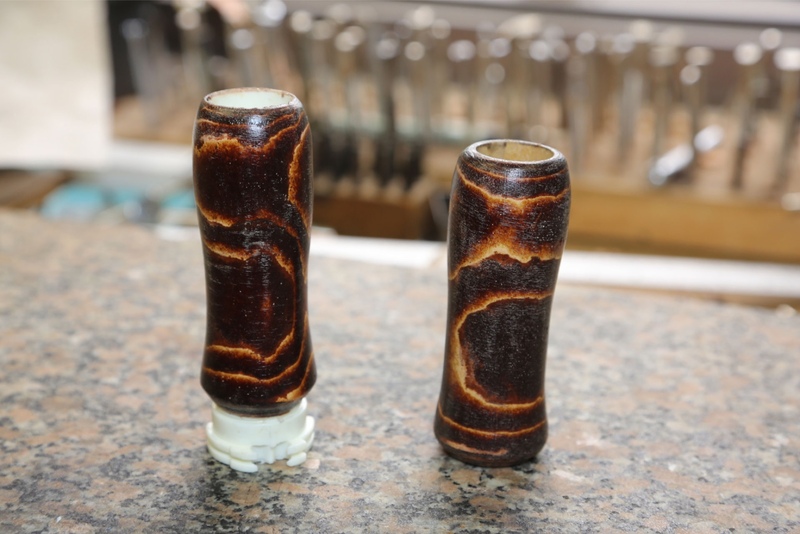 Every body has seen billet and rubber grips but how many have ever seen such a unique looking layered grainy wood like grip. They will actually be very durable and long lasting being that they are encased in epoxy resin. The right side will work with most Custom and Harley Davidson throttle assemblies including single and dual cables. These will work fine with Any late model Harley On the market. The right side grip will slide tightly over your 1” handlebars with a little tapping from a rubber mallet.